This is a wonderful era to be privileged to be alive in, and I want to share some reasons that I think this is so. *Communication is more accessible. I can remember when it took a long time to get in touch with a relative or friend overseas. We even had to book a trunk call in advance if we were going to get in touch by telephone. Now I enjoy interactive communication with loved ones daily and I can see them on camera. *I find it exciting that I can find a passage or word in the Bible just by typing it in E-Sword or Bible Gateway or other online sources. *People are learning more about free enterprise and developing their own family businesses, using online resources. We used to depend on catalogs, and there were not many of them, so our choices were fewer. Today there is more competition and a variety of prices to choose from, for any household need. 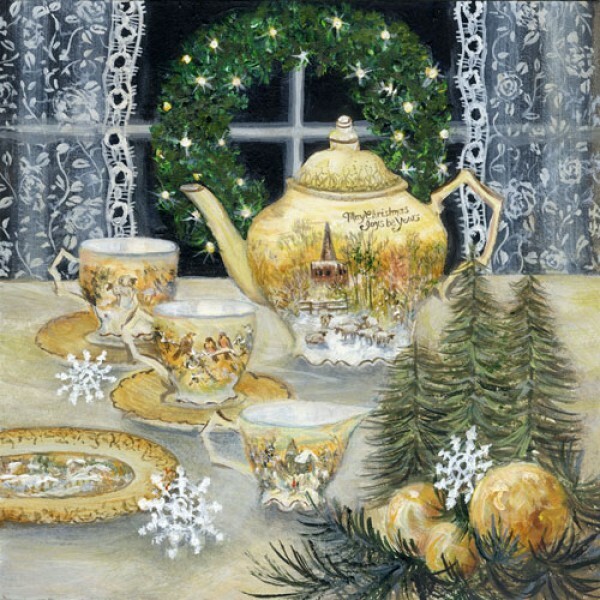 *Tea time is now part of our culture. 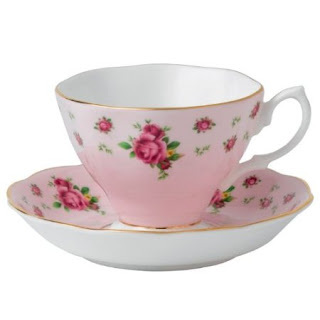 I can remember when the tea cups sat on display in tall cabinets and no one every touched them. 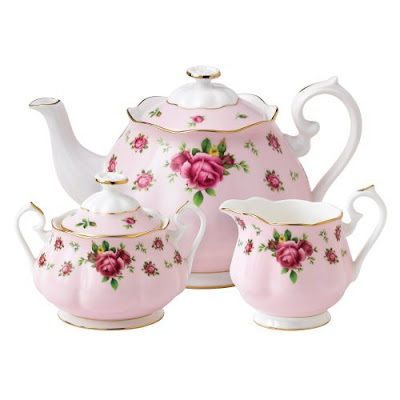 Now there are tea rooms everywhere and people are also serving tea foods regularly at home. It provides a pleasant way to share our homes with others and extend instant hospitality. Anyone can find crackers and cheese, or bread and butter with jam and serve it with hot tea. It is not something that is limited to experienced cooks. *There are more women interested in being homemakers, making life comfortable for their husbands, and creating wonderful memories for their children. *More ladies are getting interested in teaching others to quilt and sew, cook, clean, and show them how to make their homes desirable places to live. *There is a lot more giving and sharing. Many people I know are eager to pass on things they do not need anymore. With more women staying home, they are available to aid others by showing hospitality at home or taking something to someone in need. *Transportation and mail delivery are better. *Natural health care is promoted more. *We have a vast knowledge of the past available to us and can adopt any good thing from any era into our lives today. *Cameras and other technologies are available to everyone, not just a few. Magazines used to be published by only a few companies, and now, there are so many more people who publish their own magazines, plus all the blogs that are online magazines. An average person can produce his own video, and the photography from ordinary cameras is so much better than in the past. *The new technology provides access to preach the gospel in places that the average person might never be able to go. *In our country onions, leeks and cucumbers are available year-round. Those who read the book of Exodus might appreciate that. *More women are recognizing that they do not have to spend a lifetime in a career and that they can spend that time at home, helping in the destiny of their famlies, guiding the house, and showing hospitality. *Women are learning to sew or showing interest in learning to sew their own clothes and household things. *One thing I especially like about living in this era is that many of the things that were once high priced and unavailable to people, are now surfacing in discount stores and second-hand stores, and other places, making it affordable to have some things that were once considered luxuries only for the well-off. *Household things are more convenient. Floors in cold northern areas have radiant heating (warm water pipes) and insulation is better for hot and cold climates. My favorite store is the hardware and home improvement-building supply store. The new things amaze and delight me. Pull-out drawers in shelves, and ovens at waist level (so that you do not have to bend so far), as well as fridges with ice machines---these are all things not available to us way-back-when. Home living is much more convenient, clean and comfortable. *There is so much more information and help available for those who want to grow food or create appealing landscaping around their houses. Garden centers are huge these days. I can remember when seeds were ordered in the mail. Now, you can pick out the plants you like after seeing them in bloom, and you can find many garden plans photographed in color. *Roads are well built and maintained, at least here in the U.S. and Canada. I can remember when you did not know what lay ahead on a road, but now there are regular reports about the condition of highways. You've had a celebration the day before and you wake up to a mess. Maybe you slept later than usual and everyone is already awake and wandering about the house. How in the world do you redeem the part of the day that you needed? 1. Get yourself "together" mentally and physically, before tackling the house work. No matter how far behind you think you are, try starting over, even if it is nearly noon, or afternoon. Have a shower, put on clothing that inspires you to want to approach your job cheerfully and professionally, wear some light scent, and "do" your hair. These things are like turning on the headlights of the car, indicating getting in gear and getting ready to go. 2. Begin with the room that is first seen or is in the most public view. Remove anything in it that does not belong there, and then put everything else in order. If you are not sure how to do this, try enlisting the help of someone who is experienced in this, and follow her around her own house or room while you observe what she does. If you are daunted by an unusual amount of clutter, try first cleaning the part nearest the front door and just clean up a square foot at a time of the mess. 3.Encourage yourself by frequently looking at the newly cleaned areas. Take "before" and "after"
pictures so you can critically look at your progress. Sometimes there are details and things out of place, which we see in photographs that we do not notice when looking, in general. 4.Clean the rooms that are the most important in use. The kitchen and bathroom are very important, for the sake of sanitation and good health, besides appearance. 5. Pay attention to details. Sometimes a house is clean and tidy but lacks something. This is where the placement of a bowl of fruit or a stack of books, a candle, etc. comes in. Those things, though not necessary for good housekeeping, add sweetness to the home. Though no one else may appear to notice it, the homemaker can use it as motivation. 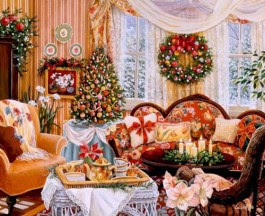 Drape a pretty blanket on a chair or place a fluffy rug in front of the fireplace. 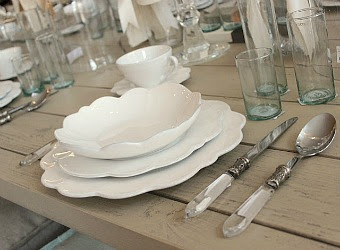 Set up bright place settings at a small table. Fold towels uniformly or according to color. These little "sights" do something for the heart, even though they are not "practical." 6. Keep your mind active, planning things, or thinking ahead of the next thing you need to do in the house. Mentally map out rewards for yourself after the work is done. Finishing a sewing project, working on a special interest, or blogging, can be points of motivation. 7. Visually survey your completed areas as you go, to keep your enthusiasm and interest and to remind you how far you have come. You may be working on another room, but go into the first area of the house you have already cleaned, and look at it, just to remind yourself how good things are looking. 8. Though it seems a trial to clean up daunting messes, thank God for it. It gives you a purpose and it is an area in which you can really shine. A lot of women become "teachers of good things," (Titus 2) or learn about interior decorating, specialty cleaning and furniture arranging, just from the experience of working in their own homes. It also gives a mission and a purpose for women at home, to increase their excellence and serve the Lord. Happy greetings to all in this wonderful season. 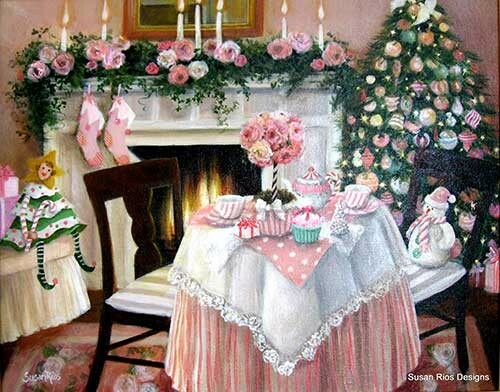 I like the sparkle and the softness and the cozy scenes of home. 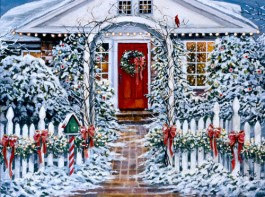 It is exciting to see what people do with their houses during this time of the year and always a joy to visit others in their homes or on their blogs. From the English Holly Tree on the south side of the land. Though it looks sunny and bright, it is cold outside. Look at the end of this post for more about this coat I am wearing. A wee spot of hot tea . The peacock knocks on the door with his beak, and has been known to walk in if the door is ajar. I like the new shatterproof chocolate brown ornaments. P.S. I'm not trying to advertise, but I wanted to tell you about this coat from Walmart. It has an elastic belt around the middle and it is very slimming. It comes in black and brown. I was amazed at how warm it was and how it cut blast of the wind. It is also quite waterproof. Most quilted coats will allow water to sink in, but after hanging up the jacket the water never penetrated it at all. I found it so warm that I was unable to wear layers or sweaters under it, so be aware of that. Just unzipping it helps you to cool, and wearing it outside is just wonderful. It is called Faded Glory Woman's Faux Fur Puffer coat. Be aware if you are looking for this that there are several that look like it, that are not quite the same and don't have the same slimming look. Some of them do not have the same length . This one has a length that goes easily over the hips. 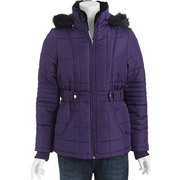 You might also find with this kind of coat that you can wear a smaller size, since it runs kind of big. I liked this coat so much I went back and bought two more for other people. All the women I bought this coat for, wore it to church. It also looks very dressy. If you do get one, it will need a scarf to tie around the neck, and you'll need a warm knit hat. The hood does not button and will not stay snug on your head. I sew, and am able to add a piece of velcro at the neck to make the hood stay on, but you might do the same thing with a scarf. In spite of that one flaw with the hood, I would still recommend this jacket. It is warm and it feels very ladylike. 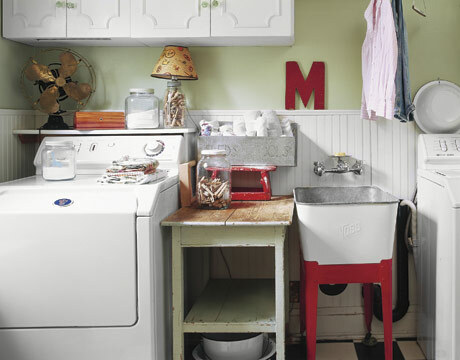 To keep it feeling new and warm, I only spot clean it with a damp cloth, rather than put in in the washer and dryer. The question was posed to me recently about how to gain interest in housekeeping, especially when the house has been neglected and the work seems insurmountable. My answer is that it has to be approached with spiritual values in mind, the first being your own spiritual character. It does take some courage to make the best of a bad situation or turn a mess into a place of beauty. One of the major elements in achieving success at home, I believe, is being prepared, and in particular, preparing your appearance. When you are dressed and have your hair done, you might feel you are ready for the job; ready for business and more in control of the situation. The next thing to do is remove everything from the jumbled room that does not belong there. It does not matter what order you take, but you might try removing clothing and things made of fabric, and putting them where they belong, and then pick up all books and paper items, then toys, then kitchen things like glassware or bowls or any food items. When all those things have been removed, you can sweep and wipe surfaces with a damp cloth . Open windows and let in some fresh air. Clear away anything that makes your house look too cluttered and leave some bare spaces here and there. Cleaning goes a long way to make a house a place to love, but there are other things you might not have thought of, which will make a house feel more homey and desirable to stay in. Many times a woman can be restless at home because it is not as nice or comfortable or clean or bright as somewhere she really desires to go. To solve this, create an atmosphere in the home that makes you want to stay. Observe what it is in other places that you want the most. Is it the lighting? The orderliness? The comforts? The seasonal touches? Colors? Quietness? Special sounds? Types of meals? 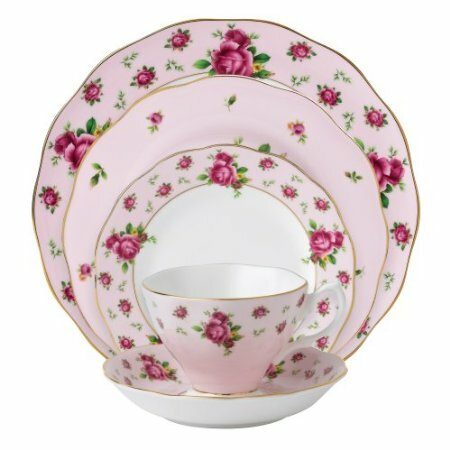 The table settings? Or, is it the special things you do in other places that makes them more appealing than the home? Once you have taken note of this, you can begin to recreate them in your own home and make not only a place you enjoy spending time in, but a place you want to invite others into. The matter of motivation for housekeeping is one area in which older women can help. They will have some years of experience with situations that seemed hopeless and be able to relate how they tackled unpleasant tasks or created order. Cleaning the home and maintaining neatness can become merely functional and materialistic unless you add spiritual values. Having a cheerful heart while keeping house and being good-natured means you know this is part of the territory of being a homemaker. We have all known housekeepers who only clean house when they are angry enough at the mess to do something. The secret to having a better attitude is to make cleaning part of your daily life, so that instead of waiting for a cleaning day, it becomes automatic to pick things up and maintain your home. Make it your job that you dress for every day. As things are cleaned up, it becomes more of a pleasure to work, as you view your progress and start enjoying the way things sparkle. I was greatly influenced when I was a girl, by a woman who never sat down to do anything leisurely (reading, sewing) until she had surveyed the area she was going to be in, and put things aright. She never left a room untidy. If she was in the bathroom she straightened a stack of towels or wiped the sink. If she was in a bedroom she put a pair of stray shoes in the closet or folded a lap quilt. If she was in the kitchen she put dirty dishes into warm water in the sink, to wash later, so that the surface area of the kitchen looked nice. In the living room she stacked books and magazines and placed them where people could see them and use them. As a result of this kind of automatic habit which she bred into herself, she did not have those angry cleaning days with all the shouting and raving at the children. They easily picked up her "clean as you go" habit and were able to overcome the knee-deep messes that often occur in children's rooms. Families enjoy and respect the home when it is meticulously cared for. There has been an attempt in modern days to made cleaning and fastidiousness seem conceited and nonspiritual. I heard a remark once that a woman who was a good housekeeper was just being too much of a Martha and not thinking of spiritual things. However I believe that being a good steward of the home is a very spiritual thing because it is done to serve others and make them comfortable so that they can develop spiritual values. Some people find it easier to think and easier to study the Bible and pray, when the house is in order. The home keeper does a great spiritual service to the family and to those who would enter her house. Women who never experienced the joy of playing house when they were growing up sometimes miss the joy of housekeeping in adult years. The playing house element of housekeeping lifts the burden and gives a light hearted hopefulness to getting things done. When children play house, they turn work into something uplifting and never really try to get it done, but to enjoy it while they are doing it. 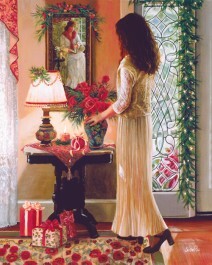 You can always tell when a woman loves her home because it has certain touches in it that go beyond just cleaning. She is making it a place of warmth and welcome for her own comfort and for others. There are women who can take a mere shack and make someone feel that they have spent an evening in a castle, and there are those who can make a trailer or a tent luxurious and comfortable, because they have given it an atmosphere of love and care. 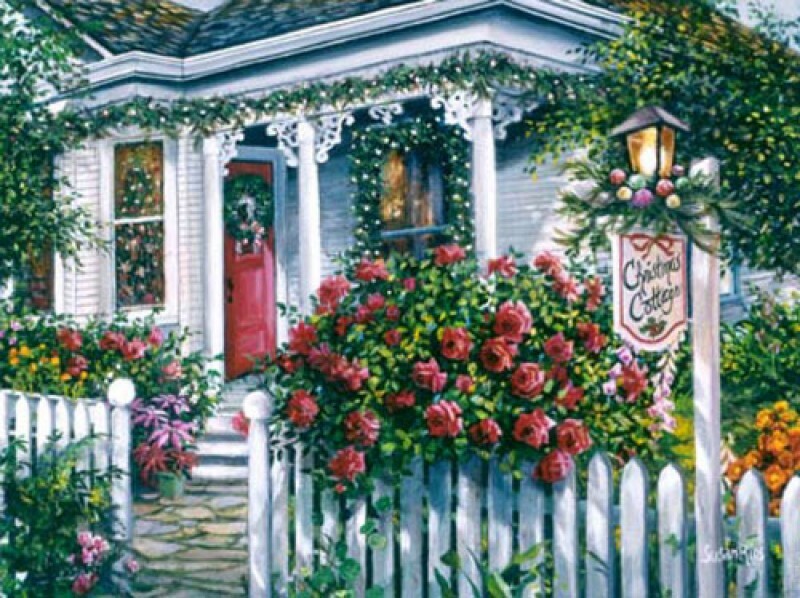 A home can be enjoyed when it is orderly and when creativity is used to make it beautiful. 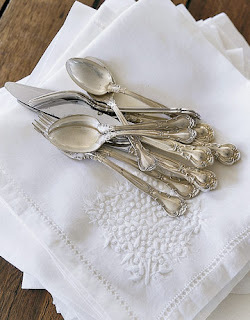 You might enjoy this video of Cheryl Mendelson's Effective Dishwashing Tips, or this article on washing dishes by hand. In the last decade, the new kitchen towels I have purchased have not worn well, nor have they been as absorbent as in the past. In the 1950's, before the dishwasher was common, my mother had dish towels that lasted years and years. Today I cannot get a dish towel to last longer than several months, and I have noticed that they lose their aborbancy quite quickly. I have never used fabric softeners on towels, in the laundry, and yet, the commercial towels break down quite quickly into rags that will not absorb, and will not soak up spills or dry anything. In fact, they just smear the water around as though it were oil. After buying new towels frequently and finding they do not wear or work well in the kitchen, I have attempted to make my own from high quality terry cloth at the fabric store. I'll show you how I did it and then report later how my test model towels performed in the kitchen. About 2 yards of terry cloth on the left, and a scrap of cotton calico on the right, for the trim, will make these four kitchen towels which I'll use to dry my tea cups and various delicate items that will not go in the dishwasher. Fold the fabric four times one way and press it with a very hot iron, set on the hottest setting. I like cottons because you can use your highest heat on the iron without ruining the fabric. Then open the fabric and cut along the creases that you ironed, so that you have four pieces. Iron the scrap of fabric, accordion style, so that you have creases you can cut for the border trim. 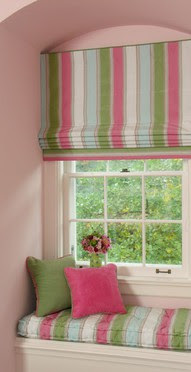 It does not matter how narrow or wide you make the trim. It is up to you. I used three inches wide. This is what the piece looks like from the side, when ironed accordion style. It just means that you fold it over and press and repeat until you have 4 identically wide layers that can be cut into strips. Open the fabric and cut along the pressed lines to make strips. Iron the long sides of each strip toward the middle. It looks like this when you turn the strip over so that the raw edges are underneath. Place an ironed strip about 3/4ths of the way down the towel toward the end, but not too close to the edge, because you are going to leave room for the hem. Clip off any excess fabric. Pin the strip on the terry cloth in about four segments, to keep it straight. It does not matter if it is not precisely even. I use a long length stitch and medium pressure (the tension dial). I also back stitch at the start and end of each thing I stitch. Now stitch close to the folded edge, keeping your eye on the needle to make sure it is sewing the strip and not just sewing on the terrycloth outside the strip. Remove each pin as it comes close to the presser foot. Back stitch when you come to the end and turn the piece around to sew the other side of the strip. This is what it looks like when both sides are sewn on to the towel. Note: It is not necessary to add this trim. If you opt to skip this step, your towels will be finished a lot sooner! Plain towels are also quite lovely to look at and to use. With iron set on highest temperature (cotton), press firmly 1/4th inch or any amount of your choice, on each long side of the towel. Then, repeat, folding over again, using the raw edge as a guide. Press, using your steam, so that the folded edges will lie flat when you are stitching. Stitch through all layers (there should be 3), close to the inside edge of the folds, which is the left side of the hem you see here. Repeat on the other long side of the towel. Then iron the short ends a fourth inch, twice, so that the raw edges are not seen, and stitch the same way you stitched the long ends. Stitch again a row of stitches on the outside edge of the hem, all the way around the towel. Fold the edges of the towel to the inside, to make it look nice when it hangs in the kitchen. Here are two of the towels hanging on the handle of the stove in my kitchen. It could also be used as a hand towel in the bathroom, paired with a pomegranate-mango soap from the dollar store. This would make a nice gift, as well. You can sew a piece of the trim and make a ribbon to tie up four towels if you need something to give away. 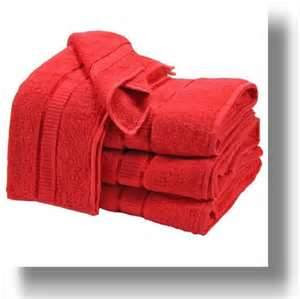 The number of towels you can make with a yard of terry cloth depends on how wide the fabric is. I have made four towels with two yards of fabric, but I like the towels to be large. The Paula Deen brand of kitchen towels sells for almost $5.00 apiece because it is higher quality than most kitchen towel brands. I made four of these towels for $5.00. I used a coupon, and I like the quality and thickness of these towels so much (even better than the top brands like Paula Deen) that I am going to get a yard of each color of terry cloth in the store and make as many towels as I can. Then I am going to test them to see how long they last, compared to commercial towels. I can already tell by the feel of them that these are more sturdy and absorbent. This is what the towel looks like with all the edges stitched on the inside of the folded edge and then again on the edge of the towel all around. I'll be letting you know in due time how these towels are wearing. I have used kitchen towels from the age of my youth, and only this year have found the purchased towels to be inadequate and unable to absorb, even though I never use softeners in my wash.
With time spent to stop and take photographs, these towels took a little over an hour to cut and sew.